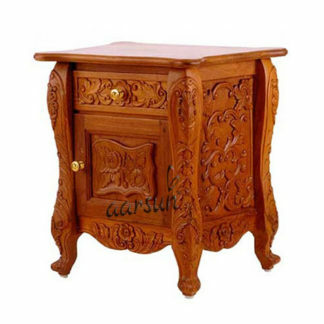 Aarsun Woods provides to you this Handcrafted Wooden bedside table build by skilled artisans. The side table is made in teak / Saguan wood with white polish. 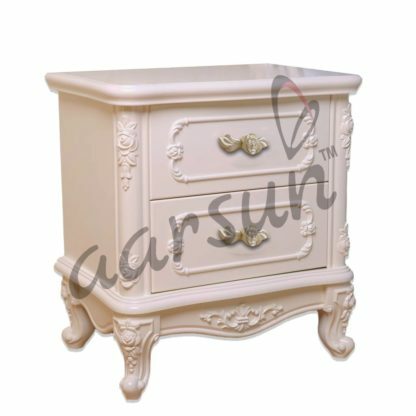 These elegant designs are made by craftsmen in Saharanpur to provide you a new look to your living room. 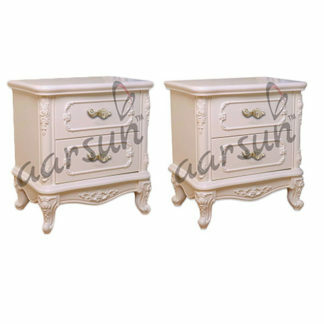 Also the Compact bedside table add simplicity and vintage look to your bedroom or living area. The unit is not only stylish but can be used as a lamp stand, books stand and whatever you want to use. 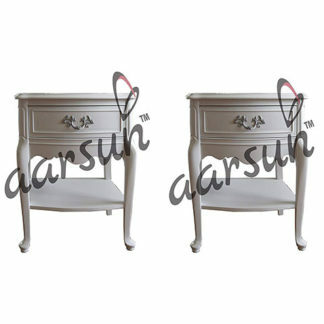 These wooden tables come in set of two and at the bottom you will find two pull drawer with curved legs. Time to give your living area the magic touch it needs with designer vintage furniture.